What makes a person happy? What makes life worth living? Is it money? Fame? Popularity? Career success? We all know the answer: not at all. There is only one thing – or one person, to be more exact – that can make us happy, and that’s Our Lord Jesus Christ. This is the only way to understand what the women described below decided to do. Even with worldly success, they gave it all up to follow Christ in a more focused way in the religious life. 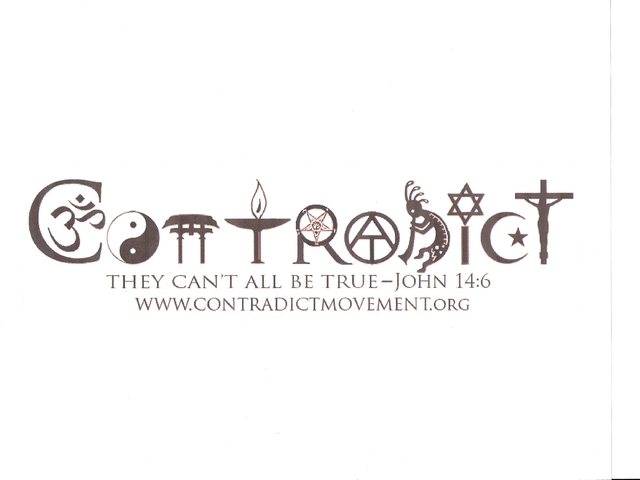 Of course, you can follow Jesus without joining a religious order. Some of us are called to go into business, to work in the entertainment industry, to have families, etc. 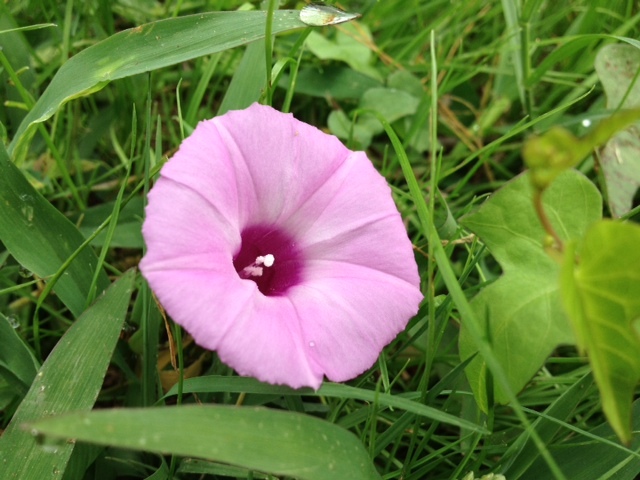 But some are called to the radical religious life – and they remind us of what’s really the most important. Olalla Oliveros was a successful Spanish model, starring in movies and advertisements throughout the country and the world. Then she visited Fatima, Portugal, the site of the famous Marian apparition to three children there in 1917, and had what she later described as an “earthquake experience.” She says she received in her mind the image of herself dressed as a nun, something she said she initially found absurd. But she couldn’t get the image out of her mind. She eventually concluded that Jesus was calling her to give up her glamorous life and become a nun. She is now a member of the semi-cloistered Order of Saint Michael. Amada Rosa Pérez was one of Colombia’s most successful models before she disappeared from the public eye. Then years later, she re-emerged to explain her absence: she had had a religious conversion and was working with a Marian religious community (though she had not become a nun). 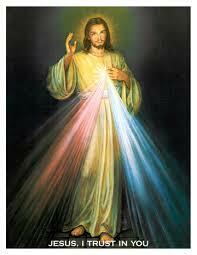 Now, she regularly goes to Mass, goes to confession, prays the rosary, and prays the Divine Mercy Chaplet. “Being a model means being a benchmark, someone whose beliefs are worthy of being imitated, and I grew tired of being a model of superficiality. I grew tired of a world of lies, appearances, falsity, hypocrisy and deception, a society full of anti-values that exalts violence, adultery, drugs, alcohol, fighting, and a world that exalts riches, pleasure, sexual immorality and fraud. These wonderful ladies ought to be an inspiration for the rest of us. No, you don’t have to become a nun or a priest to follow Christ to the best of your ability. All you need is a heart for God and He will do the rest, blessing you along the way and growing you into the man or woman that He envisions you to be. We all have the same potential, so let’s strive to live a life of faith through action. If you indeed take that step, God will bless you beyond comprehension. I’ve finally dealt successfully with a particularly nagging sin in my life. My wife suddenly started sleeping in our bed again (that’s in, not with by the way). I have a good chance of getting a better-paying job in the near future that would finally free my kids from the reduced-price lunch program at school. So, driving home from work last week, I was pleased to know that it was the day for the glorious mysteries of the rosary. Out of all four of my “rosary reports,” this is the only one where I was actually in a good mood beforehand. Below are my thoughts while praying the glorious mysteries last week. 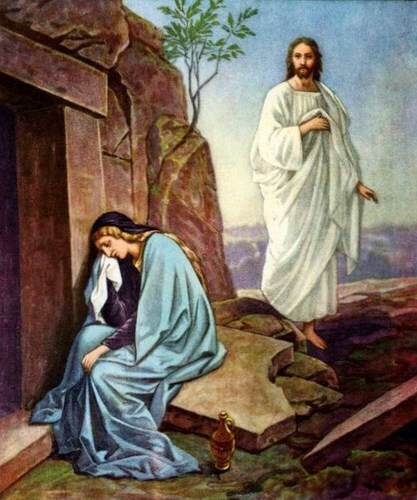 The resurrection. Who wouldn’t be joyful after being reminded that Christ overcame death and is now reigning in glory? That would fire someone up right away. Jesus didn’t just conquer His fears and the painful agony of the cross. He conquered death. Satan has already lost! If you’re still feeling down, don’t worry. Just ask God for an increase in faith. I do this all the time. Some days I can barely get out of bed due to my depression. All I have is my mustard seed of faith that God will help me; all I need to do is ask. 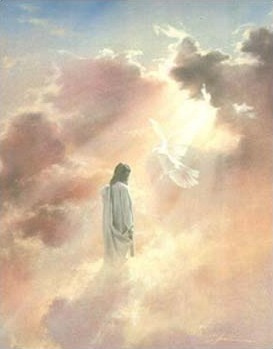 After all that time with His apostles, Christ ascended into heaven to be with the Father. Just like the apostles, we have that special hope to be with the Lord after finishing our earthly lives. 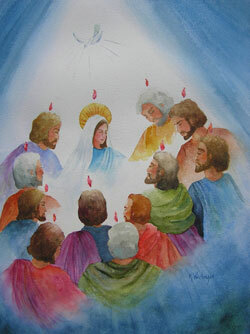 Just like Jesus said, the Holy Spirit came to rest on the apostles and Mary. They were waiting in anticipation, and Jesus stayed true to His word as always. God is love, and he is always reliable. I had the hardest time accepting this truth because my dad was the complete opposite. So many people, as I did, picture God as they do their earthly father because, well, that’s all we know. But God doesn’t belittle us or wait for us to mess up so that He can punish us. If you’re having a hard time accepting the fact that God is love — love in its purest form — then ask Him to help you. You’ll be amazed when He grants you the faith to accept and believe in His true nature. The next two mysteries don’t go over very well with Protestants. No, the Bible doesn’t mention the Assumption or the Coronation of Mary. But where in the Bible does it say that everything we believe has to come from the Bible? 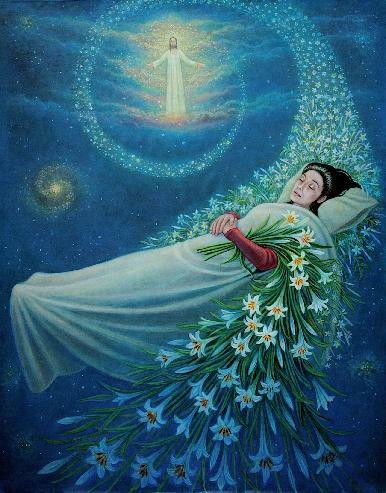 Anyway, this doesn’t mean that Mary ascended into heaven by her own power as Christ did. As Elijah and Enoch in the Old Testament, it was God who made it happen. What is a happy death? I believe it’s when we’re old and full of years, having lived a fulfilled, selfless life with our loved ones around us, with the hope that we will soon be with the Lord. That’s the only kind of death that I want for my family. I consider going to heaven a fringe benefit of being a Christian. Some people are too focused on it, but, honestly, it’s usually not even on my mind. I guess it’s because God has blessed me with a wonderful life right now. I’m not perfect. The world isn’t perfect. But life is good. 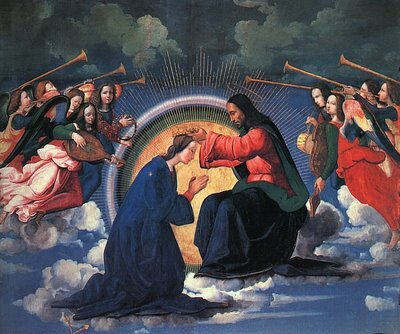 This mystery reminds me that I, like Mary, will receive a crown when I (prayerfully) get to heaven. What a glorious day that will be! In the bestseller Heaven is for Real, a non-Catholic book, someone asked Colton Burpo if he saw Mary in heaven, and if so, what she was doing. He responded and said that Mary was next to Jesus and never left His side. Just like a queen mother in the Old Testament. I found that inspiring even before I was Catholic. Mary is praying for us, just like my good Christian grandparents who are in heaven. Recently I asked a friend to pray for my mental health. 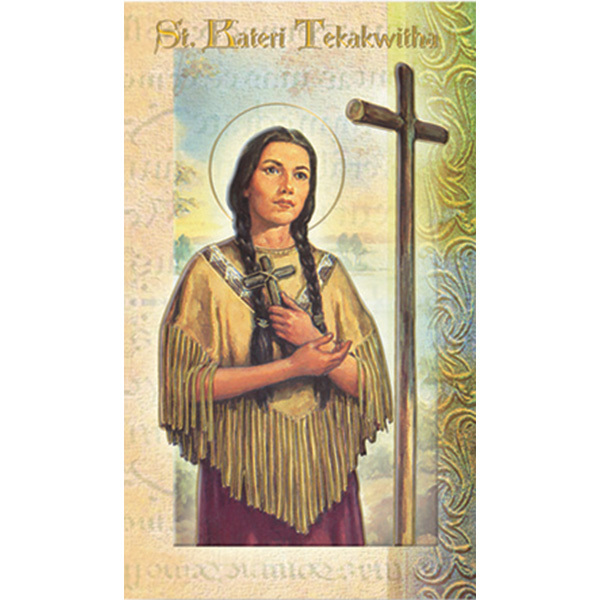 I trust that her intercession was effective. How much more effective and trustworthy would the intercession of “the mother of [the] Lord” (Luke 1:43) be? With Thanksgiving coming up, everyone will soon be focused on food what they’re thankful for. However, take some time out every day to count your blessings. You’ll feel a lot better. I wish you, dear reader, a wonderful day. I’m a college teacher, but sometimes I’m also a counselor for my students. During my office hours, it’s not uncommon for students to come and see me about problems in their personal lives. I am more than happy to give advice or, in most cases, just lend an ear. I trust that the Holy Spirit guides me and gives me the wisdom to help these individuals. The student, who I will refer to as Colleen, is in a marriage that is quickly spiraling downward. It’s complicated, but the gist is that her husband verbally and physically abuses her, won’t let her drive, and demands that she hand over all of her salary from her part-time food service job. Colleen is from a country in West Africa, and her husband is American. He has arranged a court date for them to sign divorce papers. Trusting in the Holy Spirit — since I didn’t get the memo that God was sending Colleen my way — I listened to her and clarified some things. Not really knowing what to say, I referred Colleen to some apartments near campus that were affordable. I’m friends with the coordinator of career services at the college, so I told Colleen where to find the office and to tell them that I sent her. Lastly, I shared Romans 8: 28 with her: “And we know that in all things God works for the good of those who love him.” There is a reason for everything, I told Colleen. She told me that she believed and trusted that God would work everything out for her. I was humbled by her faith. When we finished talking, Colleen felt so much better. Tomorrow she is going to court with her husband. When she walks out afterward, she will suddenly be alone in a strange new country with no home, no family, and not quite enough money to make ends meet. Luckily, Colleen will be in my class until the semester ends in December. After that, though, I may not see her again. Please keep Colleen in your prayers. One thing that really struck me was when Matthew spoke about how predictable human nature is. To illustrate his point, Matthew encouraged everyone in the audience to buy a journal and take it to Mass every Sunday. Before Mass, write at the top of the page: What is God Going to Say to Me This Morning? Listen to the music. Hear the Scriptures being read. Open your heart to the prayers. Meditate on the presence of Christ in the Eucharist. In some way, God will speak to you. When He does, write it down. Then Matthew drove his point home: We will bring the journal to Mass the following week, write in it, decide that we don’t want anyone to read our private thoughts, and hide it in an old drawer. Days, months, and years go by. One day we happen to find the journal in the old drawer, rip out the two pages of notes that are no longer important to us, and then use the journal for something else. In other words, without changing our habits, we will end up stuck in the same sinful life, never to break free. The inspirational men and women of history had great habits. That’s what separates them from the rest of us. I have found myself trapped in this disheartening cycle recently. On my way to work this morning, I couldn’t even bring myself to talk to God in spontaneous prayer. Instead, I prayed the Our Father and the Hail Mary (one example of how recited prayers are effective — They are good to fall back on when we just can’t bring ourselves to talk to God). Listening to the motivational talk on the CD helped. An image ran through my mind afterward: the wonderful painting called Forgiven by Thomas Blackshear (see top of post). I used to see this painting in all the Christian bookstores that I once strolled through. I remember thinking once, Wow. How religious is that! before turning away to look through the bargain bin. 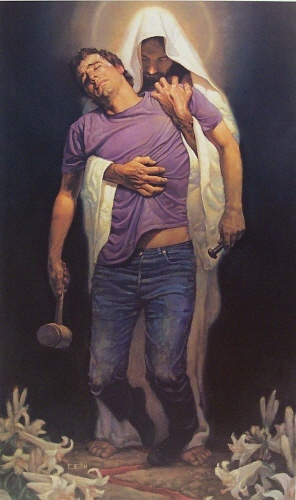 The image of that painting, Jesus holding up an exhausted, hurting young man who is clutching a spike and mallet, burned itself into my mind. That man is me. I’m tired. I’m knee-deep in sin. I’m emotionally drained. It all made perfect sense. It’s funny how we don’t realize the obvious until we are broken-down and ready to give up. When we find ourselves at the bottom of a muddy pit of despair, there are only but two choices to make: resign ourselves to our “fate” or begin the arduous process of climbing out, inch by agonizing inch. Staying the same may be comfortable, but if we really want a fulfilling life and to get close to God again, we must make every effort. As the saying goes, If you want to see a rainbow, you have to persevere through a storm. There is a movie called Any Given Sunday starring Al Pacino as the head coach of a once-great professional (American) football team that is struggling with low morale and internal dissension. In the locker room right before a playoff game, the coach pours out his heart in one of my favorite inspirational speeches in a movie. I don’t know what to say really. Inch by inch, play by play, ’til we’re finished. We’re in hell right now, gentlemen. Believe me. Or we can fight our way back into the light. We can climb out of hell. One inch at a time. Now, I can’t do it for you. I’m too old. I made every wrong choice a middle-aged man can make. I ****** away all my money, believe it or not. I chased off anyone who’s ever loved me. And lately, I can’t even stand the face I see in the mirror. You know, when you get old in life, things get taken from you. But, you only learn that when you start losing stuff. You find out life is this game of inches. So is football. and you don’t quite make it. you don’t quite catch it. They’re in every break of the game. On this team, we fight for that inch. On this team, we tear ourselves and everyone else around us to pieces for that inch. We claw with our fingernails for that inch! that’s gonna make the ******* difference between winning and losing! who’s gonna win that inch. because that’s what living is! Now, I can’t make you do it. Now, I think you’re gonna see a guy who will go that inch with you. you’re gonna do the same for him. Now, what are you gonna do?